I’m in the storage rooms of the Narberth Museum for a new Contemporary Arts Society Wales commission together with Linda Norris, Sian Lester and Riitta Sinkkonen Davies. 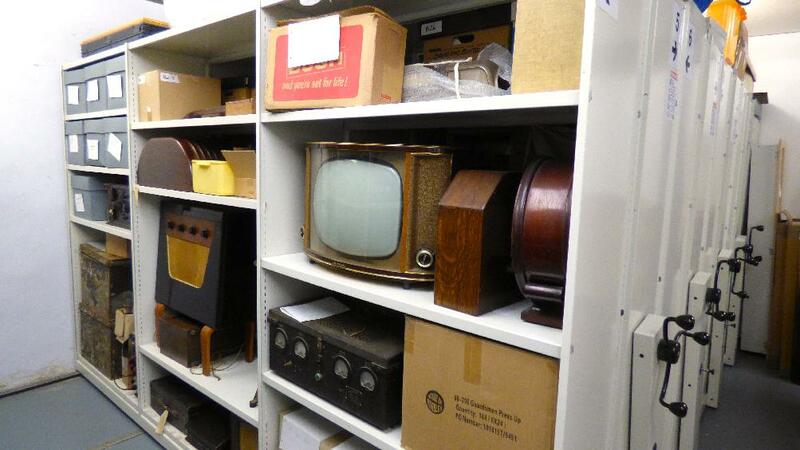 This is the Mr. Stanley Lewis archive, who ran a radio shop in Narberth in the 1940-50s and to my utter amazement he made part of the pioneering synthesiser development of the age, using the radio valves from his shop stock. I need to chase up this story, as there are some interesting ingredients to it. I’m invited to create something with Sound inspired by the Narberth Museum’s collection and figured it would be a shame to present something coming from a screen or a speaker – I’d prefer a tactile element to it. In the Lewis archive there are many boxes of recycled switches Lewis’ thought might become useful. 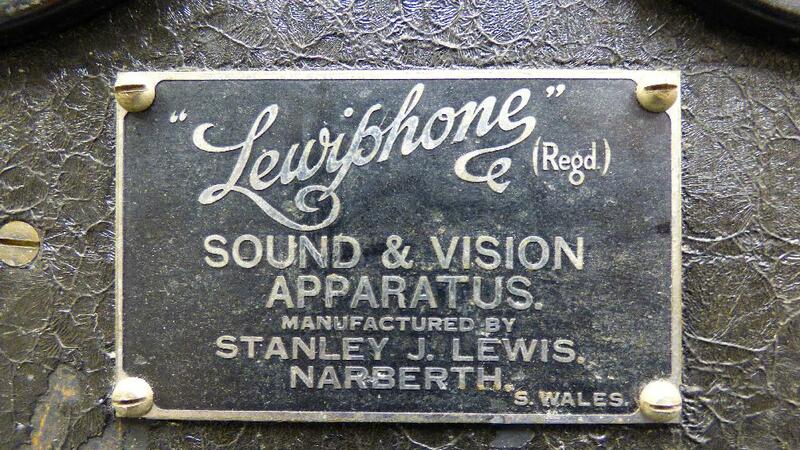 Some of Mr. Lewis’ archive boxes resemble very much boxes I have at home…. 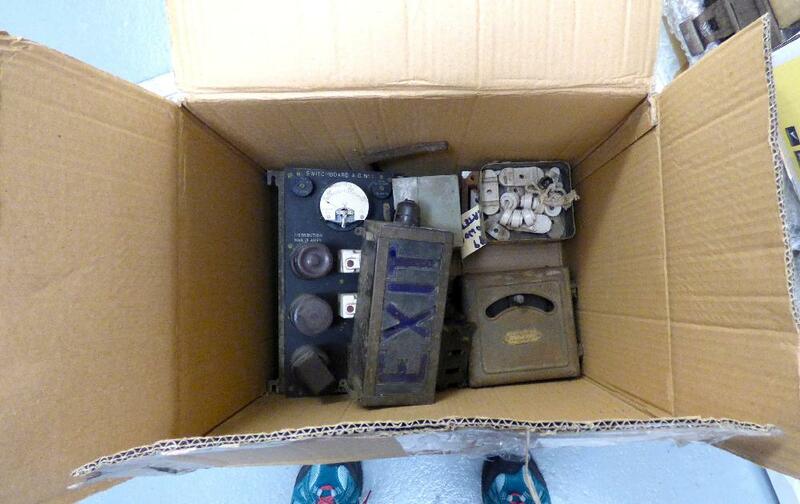 I actually have a similar cardboard box full of knobs and switches with a similar ‘exit’ sign from a redundant Berlin tram of years ago. I’m sure some of these tactile chunky switches might get a place in the work. 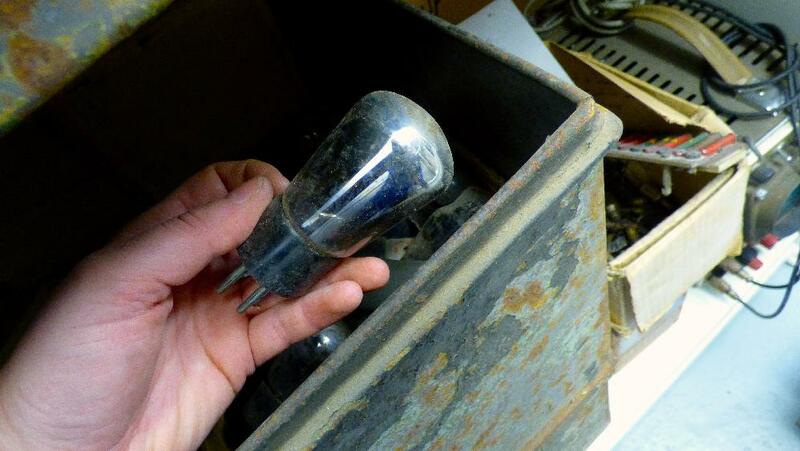 Also in the archive there are metal boxes filled to the brim with glass tube valves – just beautiful objects in themselves.